How I was able to get my driver’s license twenty years ago tomorrow is a shining example of my late bloomer status. I started in the middle of May ’88, a couple of weeks after the end of my freshman year at the University of Pittsburgh. My main motivation was the fact that the only piece of picture identification I had was a choice between my Pitt ID and my old Mount Vernon High School ID. It also seemed to me that I couldn’t hope to travel or to get a good job without having a driver’s license. 1974 or 1975 Cadillac Coupe de Ville, cropped and colored green, January 23, 2012. (http://http://www.allcollectorcars.com). 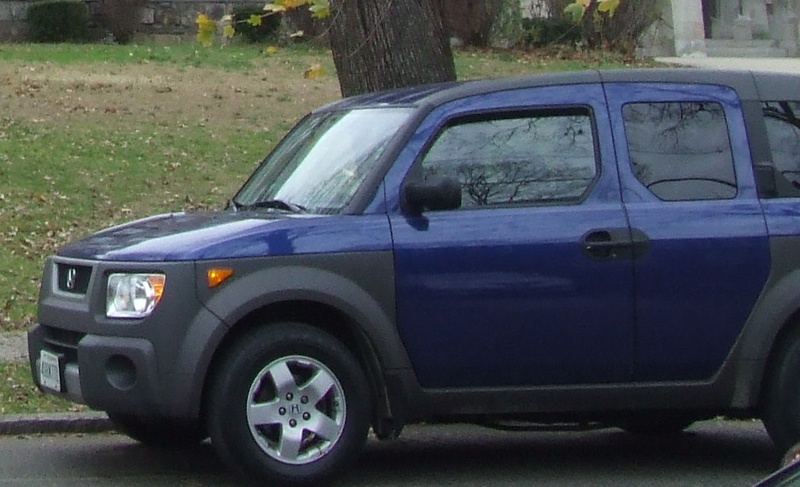 Qualifies as fair use under US Copyright laws because photo is of low resolution, cropped and altered for purposes of post. I knew plenty of people with cars, but in my family and immediate circle, only my idiot stepfather Maurice had a license. In the eleven years he’d been in our lives, he had access to his Reliable cab for two years (’77-’79), and had owned a ’70s-era Coupe de Ville for about a year and a half. At least until he burned out his engine on the New Jersey Turnpike earlier in ’88. Despite all of these disadvantages, I began my journey. At the end of my second week back, I grabbed a manual at the White Plains DMV, leafed through it, and took the exam. I passed with a 70, making the cut by two questions. I scheduled and took my first driving lesson two days later. I was quickly on my way to becoming a licensed driver. But if I hoped to follow-up on that quick success with a job that could cover the cost of more driving lessons, I was sorely mistaken. I spent the rest of the summer of ’88 unemployed, like nearly seventy percent of Black males my age that summer. This began the off and on again cycle of my quest for one simple symbol of adulthood. Even in the midst of my fall of homelessness and with $205 to work with between Labor Day and Thanksgiving ’88, I continued plugging away. I’d gone at the end of October to the Pittsburgh DMV center off Washington Boulevard, near the bridge across the Allegheny River into the northern suburbs. I ended up walking from Welsford through Oakland to Forbes, then Fifth Avenue, stayed on Fifth through Shadyside and Point Breeze and Homewood-Brushton until it turned into Washington Blvd, then kept going until I reached the center. It took me an hour to get there and another to get back. In between I scored a 95 on the Learner’s Permit exam, making me eligible to get a driver’s license in two states. I even got my former CIS (Computer and Information Systems) co-worker Bill to give me a driving lesson in Highland Park Zoo’s parking lots before he left for Virginia that March for a job with AT&T. It was February ’89. I was behind the wheel of Bill’s car, his “babemobile,” his white ’88 Ford Thunderbird. It was an easy lesson until I screwed up. I was going too fast on a left-turn, cut the car too close to an embankment. We ended up going down a short grassy hill that cut off one side of the large parking lot from the other. Bill was terrified and a scary shade of purple for his car. I’d no sooner parked it then he had jumped out to make sure there wasn’t any damage. I knew that this lesson was over. I continued taking driving lessons off and on in ’89 and ’90, between Kauffman’s Driving School (at $53 an hour), my Pitt friends, and a couple of 616 folks in Mount Vernon. By September ’90, with about twenty-five hours of driving lessons under my belt, I thought I was ready. After three driving test failures, I was obviously mistaken. Then my money ran out again, and then I started grad school the following year. I wondered, sometimes out loud, whether I’d finish my master’s degree before I’d earn my driver’s license. 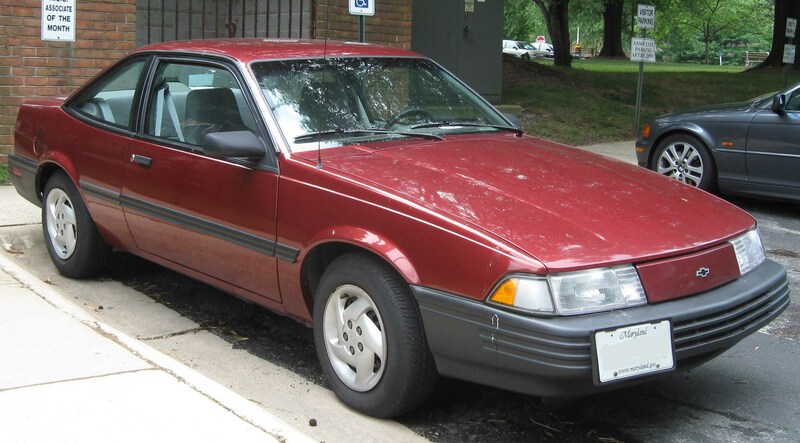 1991 Chevy Cavalier - similar to one I drove on day I got my driver's license, Gaithersburg, Maryland, July 5, 2008. (IFCAR via Wikipedia). In public domain. practiced turns with my dinner plate in my apartment in between the lessons. Finally, we scheduled my driver’s test for 9 am on Friday, January 24. That morning, it began to snow. By the time I drove to the test site, six inches of snow had fallen. I was the first person on the course. Between that and the falling snow, I was comfortable. Seven minutes later, I’d done it all, and had barely parked the car after hearing the words “You’ve passed” before literally jumping out of it and into the snow. It took me three years, eight months and eleven days in all to pass my driver’s test in Pittsburgh. At the time, I was prouder of that than I was of any of my academic achievements or other personal triumphs. A month after my twenty-second birthday, I’d now earned the right to add to humanity’s carbon footprint. As well as a real badge of adulthood.